The Simple Download Monitor Plugin gives you the ability to easily display all of the downloads you have created on a WordPress post or page. You can use one shortcode to display all of the downloads available. I will explain how to show all your downloads on a page in this documentation. 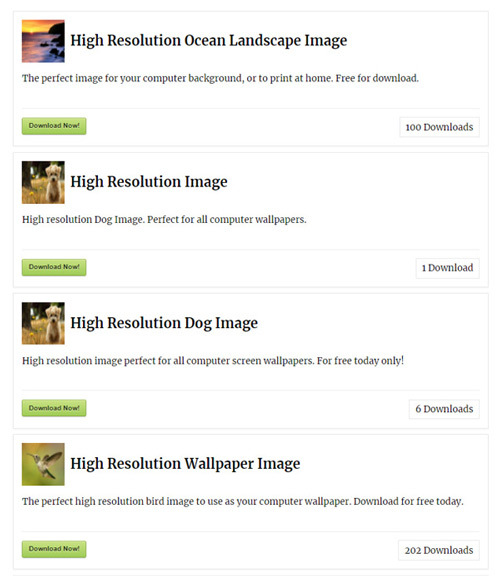 The download display below was created using the fancy=”2″ shortcode. Before proceeding with this documentation, ensure you have read the Simple Download Monitor plugin’s basic usage guide. Create a new (or edit an existing) WordPress post or page. 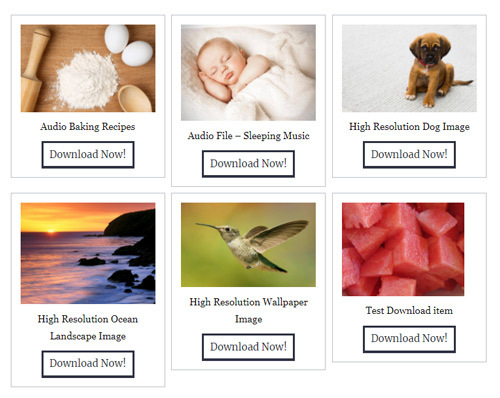 This is where you will display all of your downloads available to your customers. Step 1) Click on the Pages menu and then on Add New. Step 2) Give your Page a title. Step 1) In the text editor of your post or page you will need to ‘copy and paste‘ one of the two shortcodes below. The fancy=”1″ shortcode will display your downloads in a list format and will include the download’s title, description, thumbnail, download count and download button. The fancy=”2″ shortcode will display your downloads in a square showing only the title, thumbnail and download button of each. You can view the examples below to decide which shortcode will work out the best on your site. Step 2) Ensure you Update your post or page.